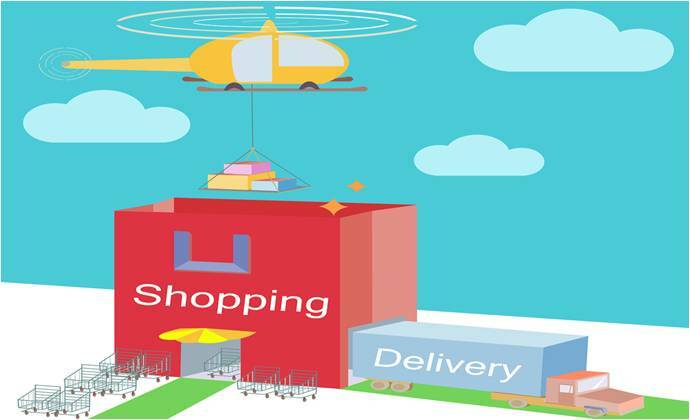 The E-commerce market has experienced tremendous growth in short time. Due to the rapid growth of the E-commerce market, an increased demand for LTL & Full Truckload quotes has emerged. The freight shipping industry is one industry that rode the coat tails of E-commerce’s success and is reaping the benefits. E-commerce isn’t just transforming the buying behavior of individuals; it’s also changing the way shippers approach their purchasing needs. In the past shippers and retailers had a need for big warehouses to stock a variety of product. Today many shippers only carry select products and keep minimal amounts of inventory on hand. This new method of operation is possible because of E-commerce. E-commerce sites have built distribution centers strategically (often within 1100 miles of each other) to offer faster shipping times. These distribution centers are being utilized by retailers as strategic shipping points to remain competitive and offer faster shipping times to their customers. E-commerce sites such as Amazon and Groupon have created a new type of entrepreneur. Although, E-commerce sites have helped smaller operations get started. Freight shipping expenses are still a major issue for small to medium-sized businesses. Although, smaller operations save money on overhead expenses such as rent they are spending more for freight shipping services. The nature of E-commerce allows sellers to operate from nontraditional locations, such as their homes or storage facilities. These types of locations are not favorable shipping locations for LTL or truckload carriers. These types of shipping locations incur shipping cost known as accessorial expenses that warehouse locations do not. The cost of freight shipping incurred by sellers on E-commerce sites can easily get out of hand. Smaller businesses always struggle with high freight shipping cost. These high freight shipping cost often prevent sellers from penetrating new markets. Hence smaller shippers pay more because they do not have large amounts of freight to offer LTL carriers. Small to medium-sized business would benefit the most from a freight broker’s resources. Freight brokers do have the volume to secure very good discounts and therefore make it possible for smaller business to grow. As more E-commerce retailers come online there will be an ever-increasing need for smaller businesses to use freight brokers. Overall the E-commerce boom has injected fuel into a sluggish economy. E-Commerce accounted for $341 billion dollars in sales in 2015. Although, this is a major positive for our economy, it does have its opponents. Brick and mortar stores may not like E-commerce sites but brick and mortar stores cater to a different consumer. There will always be a need for brick and mortar stores since many people prefer to walk in and have the shopping experience. In closing, E-commerce has indirectly contributed to the economy by demanding LTL carriers purchase new trucks to meet demand. Both LTL and Truckload shipments are up for all major carriers. A May 2016 report shows Class 8 orders for new trucks up slightly to 14100 units. Amazon recently announced that they were purchasing new trucks to satisfy their freight shipping needs. The E-commerce explosion has definitely had some unintended consequences for a variety of sectors.